If you would like to do a Lenovo Yoga 2 13 screen replacement repair yourself, we have created an How To Video that guides you through the LCD screen replacement process. 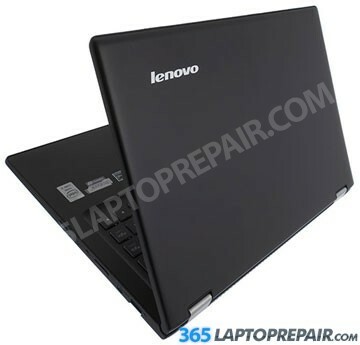 Purchase the Lenovo Yoga 2 13 Lenovo Yoga Digitizer + LCD part only for $189! Alternatively, you can mail us your computer and our certified, expert technicians will be able to repair it! We have the parts in our inventory and therefore our turn around time for most repairs on these models is 1 to 2 business days considering that we have everything needed to conduct a swift and efficient diagnostic. Are you all set to start your repair and have your laptop issue fixed speedily? Just click the “Add to cart” button below to begin the checkout procedure. We accept credit cards with the aid of Authorize.net and PayPal. We provide plenty of shipping methods to and from our repair warehouse. 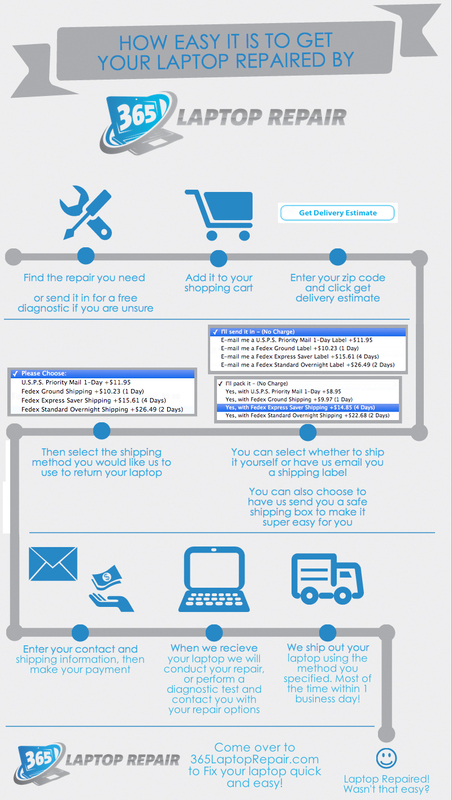 You could pack your laptop and post it to us yourself, or alternatively we are able to mail you a pre-paid shipping label as well as a safe ship box to ship your computer quickly, conveniently and safely! Feel free to us with any sort of inquiries relating to this or any one of our repairs through the use of our Contact Us form. Are you unsure on what exactly is wrong with your Computer? You can send it to us and let us execute a full diagnostic. In the event that we end up conducting a repair on your laptop, this service will be at no cost to you. If you should opt to not to have a repair carried out there will be a $49 diagnostic fee. If you know the repair service that is required and don’t see it listed below or perhaps you need to have a word with us about the details, you can take advantage of our Repair Estimate Page to get a no cost quote. The replacement service that we provide for the Lenovo IdeaPad Yoga 2 13" encompasses the cost of a whole new LCD screen as well as the time to repair it. This service also contains a No Dead Pixel Assurance in addition to a 6-month warranty on parts and service. We install genuine new LCDs, not aftermarket or cloned LCDs. This is the usual repair that is performed after you damage or shatter your front glass which can be called the digitizer. Sometimes you could only crack the digitizer but your LCD screen is still visible and functioning but you will not be able to make use of the touch functionality. This will take care of all damage to the glass/digitizer and actual LCD display below it. This replacement does not comprise of fixing the top casings of the computer, the screen bezel or the display hinges. Should you need one of these parts repaired, it would be an increased fee. Ask for a Customized Quote find out more. Purchase the Yoga 2 13" Lenovo Yoga Digitizer + LCD part only for $189! If you have the Yoga 2 Pro, Click Here. Take a moment to write to us with any sort of questions you may have about this repair thru our Contact Us form. If your current hard drive is making sounds or otherwise functioning abnormally slowly , in this case upgrading/replacing the hard disk drive will be able to rejuvenate your pc and guarantee operation for many years to follow. You might also upgrade your hard disk drive to a bigger size or a quicker speed to get more space for storing for music, videos, video games and other programs you enjoy. The Lenovo Yoga 2 comes with a 500GB 5400RPM hard drive. You may upgrade to a Solid State Drive for amazingly fast boot up times. Hard disk pricing comes with installing and configuration of the replacement hard disk drive only. A 3-year warranty accompanies every one of our hard disk drives. If you want your data moved from your old hard disk, or a new operating-system installed, please include the needed items from the Software Upgrade and Repair part below. We will return your original hard drive to you. In the event that your hard disk drive is non-functional data recovery solutions are offered, Contact Us to learn more. Solid-state drives provide swifter boot times and ultra-fast performance. It is typical for solid-state PCs to boot 100 percent in under ten seconds. Switching from traditional to SSD storage devices is undoubtedly the best way to increase the performance of your system. In cases where your system slows to a crawl once you have too many applications running, then raising the quantity of memory in your computer can considerably improve system performance. The Lenovo Yoga 2 comes along stock with 8 GB. It may not be upgraded any further as it is incorporated into the motherboard and cannot be taken out. As long as your pc doesn't have a functioning DC jack port you then wont be able to charge it. DC jack port repairs are just about the most typical repairs we execute, so we can easily have your laptop ready to go without delay! There are a variety of indicators that indicate you might need your mother board fixed that include: Video problems, power issues, unexplained beeping, boot failure. Furthermore this is the recommended fix for liquid spills. Do not hesitate to make contact with us with any sort of problems with regards to this or any of our repairs through our Contact Us form. If your computer keyboard isn't functioning correctly or is missing keys, this repair will have it up and running once again. Are you having your hard disk drive upgraded or replaced? Are you currently experiencing issues with your operating system ( Windows ) not working? Does your laptop have a virus that you have to cure? Is there a defective hard disk drive you would like to make an attempt to recover? This is the section for any of these dilemmas. Hard Drive Migration: Convert all of your data from one hard disk to another one. This is usually performed when your have your defective hard disk swapped out or have updated to a bigger hard drive. Operating System Installation: Get a clean Windows operating system installed onto your hard disk drive. We even install anti-virus , anti-malware along with other important software applications to be certain that your computer will run smoothly. It can also remove viruses that you have. If you want to keep any of the data from your previous windows installation, our backup services starts off at 59.99. Virus Clean-up: Eradicate viruses that can be slowing your PCs operation or harming the security of your pc. Without a goood battery your laptop might as well be a desktop because you will have to stuck to a wall outlet all of the time! Refresh the life of you laptop by having your yoga 2 pro battery replaced, you will remember what its like to have a laptop with full mobilitiy again! Please contact us about this repair.